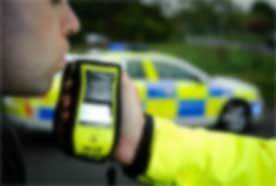 Drink Driving - Have You Been Caught? These are just some of the possible consequences a person can expect when they are convicted of a drink driving offence. The penalties are severe! Well the simple answer is NO - NEVER!! If you drink and drive, not only are you jeopardising yourself, you are putting other road users at risk. Statistics produced by the Department of Transport show that in 2017 an estimated total of 290 people were killed and a further 8,370 people were injured on Greath Britain's roads as a result of accidents where at least one driver was over the legal drink driving limit. Any amount of alcohol can affect a persons ability to drive a vehicle safely. Alcohol can also affect different people in different ways. You can be prosecuted for driving while unfit through drink or drugs even if the level of alcohol in your system does not exceed the legal limit if your driving was impaired due to alcohol or drugs. If you have been drinking, DO NOT DRIVE!!! 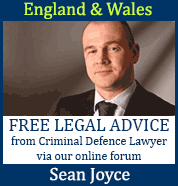 What is the drink driving limit in England & Wales, UK? What is the drink driving limit in Scotland, UK? It is an offence to refuse to co-operate with a road side breath test and anyone who does so will be arrested and required to provide an evidential breath, blood or urine sample. Failing to provide an evidential breath, blood or urine sample when required to do so and without a reasonable excuse is a criminal offence that carries a harsher penalty than that of providing a sample that exceeds the legal limit. If convicted of failing to provide an evidential sample for analysis you will be classed as a high risk offender and you will have to take a medical arranged by the DVLA to prove you are fit to drive a vehicle and hold a driving licence once your disqualification is over. Driving or attempting to drive a motor vehicle on a road or other public place while exceeding the legal limit or failing to provide a breath, blood or urine sample after driving or attempting to drive both carry a mandatory minimum 12 months disqualification from driving and a fine. The penalties imposed upon conviction of driving with excess alcohol (drink driving) increase on a sliding scale in line with the level of alcohol present in a persons system at the time of the offence and / or the level of impairment. Magistrates refer to sentencing guidelines before deciding what sentence to impose. The exact sentence imposed will depend on the offence committed alongside any aggravating and/or mitigating factors surrounding each case. Our drink driving penalty calculator can provide a reliable estimate as to what sentence you will receive at magistrates court when convicted of driving with excess alcohol unders Section 5(1)(a) of the Road Traffic Act 1988. If you are reading this now, you or someone you know may have already been arrested for & charged with drink driving? If you have been charged with a drink driving related offence you can receive free expert legal advice from a criminal defence solicitor specialising in road traffic law. Perhaps you have been affected by drinking and driving in some other way? Maybe you are researching the subject? Why not introduce yourself in our drink driving forum. Here you will find help, advice, guidance and support from other members of the drinkdriving.org community. Our forum allows people to share their stories and connect with other people who may have found themselves in a similar position. Shared experiences can only help raise awareness about some of the drastic consequences that can happen as a result of making the decision to drink and drive. There is also a section of the drinkdriving.org forum for people who have been adversely affected by those who drink and drive, victims of drink drivers. Whether they have lost loved ones or suffered injury or loss, they can discuss and support one another here. Our aim is to provide an open online community and a comprehensive information resource for all people who have been affected by drinking and driving in any and every way imaginable. While we DO NOT condone drink driving in any way shape or form, we do realise people make mistakes, nobody is perfect and we have a section of the drink driving forum specifically for people who have been convicted of or charged with drink driving related offences. Please don't be afraid to join our drink driving forum and contribute, most of our members are or have been in a similar situation. We aim to supply the information and services people need. From the history of UK drink driving laws and the current police procedure for carrying out breath tests and blood and urine tests on suspected drink drivers to the process of applying for a driving licence after a driving ban and everything in between. If you have been charged with a drink driving offence you can find out what penalty your are likely to receive at court by using our drink driving penalty calculator and prepare yourself for your day in court by reading our magistrates court guide. If you are currently disqualified you can find a list of approved drink driving rehabilitation course providers and contact them to book a place on one of their courses. Completing a drink driving rehabilitation course can reduce a driving disqualification by up to 25%. In order to take the course and benefit from this reduction you must have been offered the opportunity to do so by the court that disqualified you on the day you were sentenced. If you are classified as a high risk offender you can find information on the DVLA medical process including what the medical entails. All convicted drink drivers who are classified as high risk offenders must take a DVLA medical in order for the DVLA to assess their fitness to drive a vehicle & hold a driving licence. Drinkdriving.org helps to raise awareness about the dangers and possible consequences of drinking and driving, we help those who have been affected recover from the consequences of their actions and learn from their mistakes. Preventative measures, raising awareness, education, rehabilitation, help, support and advice all go a long way to achieving our goal!